SRI methods were introduced into Venezuela by the Inter-American Institute for Cooperation on Agriculture (IICA) in 2015. Diddier Moreira conducted the original training with the support of IICA, Fundarroz, Nestlé, INIA, and Fundación Danac. The event, which was held at Calabozo, Venezuela, introduced better rice growing practices, including SRI, to 40 rice growers. Due to continued interest from the rice-growers, there were follow-up workshops in 2016. The first was for another 18 people in Guárico and the second for 42 people in Araure, Portuguesa. In 2017, another training in Guárico for 21 people was held and a demonstration plot was created for an additional 68 people. Shortly after the training, Venezuela was represented by María Sandoval at the Second Regional Exchange: Advances with SRI in the Americas, which took place in Ibagué, Colombia, from October 10-12, 2017. While SRI is still in its early stages in the country, IICA and those involved with SRI in Venezuela believe SRI has great potential for the country and are anxious to see it thrive. Since SRI methodology uses less seed and water, less agrochemicals, and leads to less pest problems, they believe it can be of great value for rice production in Venezuela. On February 15, 2019, IICA organized a webinar to bring together those working on SRI in Venezuela beginning in 2015. On February 15, 2019, the Inter-American Institute for Cooperation on Agriculture (IICA) organized a webinar to bring together those working on SRI in Venezuela over the past several years (see program). The event was part of IICA's efforts to facilitate the integration of measures related to the adaptation and mitigation of climate change in agricultural production systems in Latin America and the Caribbean. National level strategic partners, including National Institute of Agricultural Research (INIA), Nestlé, and DANAC Foundation have established SRI trials in the states of Guárico and Portuguesa. Presentations were made by producers, advisors, and technicians who have been involved in evaluating the rice production activities. In addition to addresses by IICA staff, partner presentations by Betsaida Soublette (INIA), Miguel Aguero (a producer), and a Nestlé representative are available online. The introduction of SRI in Venezuela and its early success is due to Diddier Moreira’s efforts on training and equipping rice-growers throughout the region with the support of IICA, Fundarroz, Nestlé, INIA, and Fundación Danac. 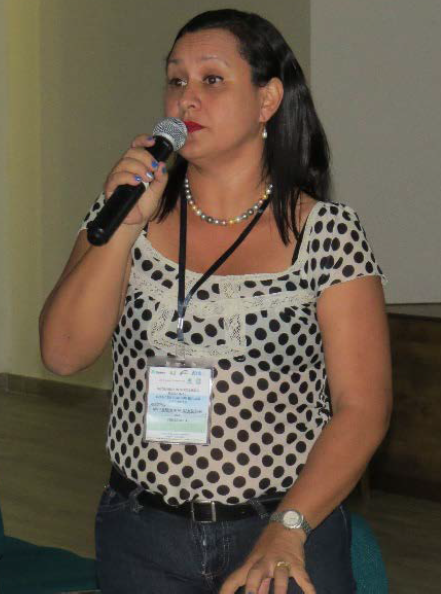 Diddier Moreira, a professional from IICA (Inter-American Institute for Cooperation on Agriculture) in Costa Rica first came to Calabozo, Guárico, in 2015 and presented on SRI at a workshop for better rice growing practices to 40 rice-growers. Due to increased interest from rice-growers, there was a follow-up workshop in 2016 for another 18 people in Guárico and a second workshop for 42 people at the Fundarroz headquarters in Araure, Portuguesa. Gudiño, Blanca. 2016. Venezuela - Promueven metodología de producción arroz adaptada a los cambios climáticos. Ultima Hora website. July 14. Hurtado, Karlys. Fundarroz, IICA y Nestlé promueven sistema intensivo en cultivos de arroz. IICA Website. July 12, 2016. Sandoval, María. 2017 (November 9). Avances con SRI en las Américas - Venezuela. Poster presentation at the Segundo Intercambio Regional: Avances cons SRI en las Américas, bagué, Colombia, October 10-12, 2017.